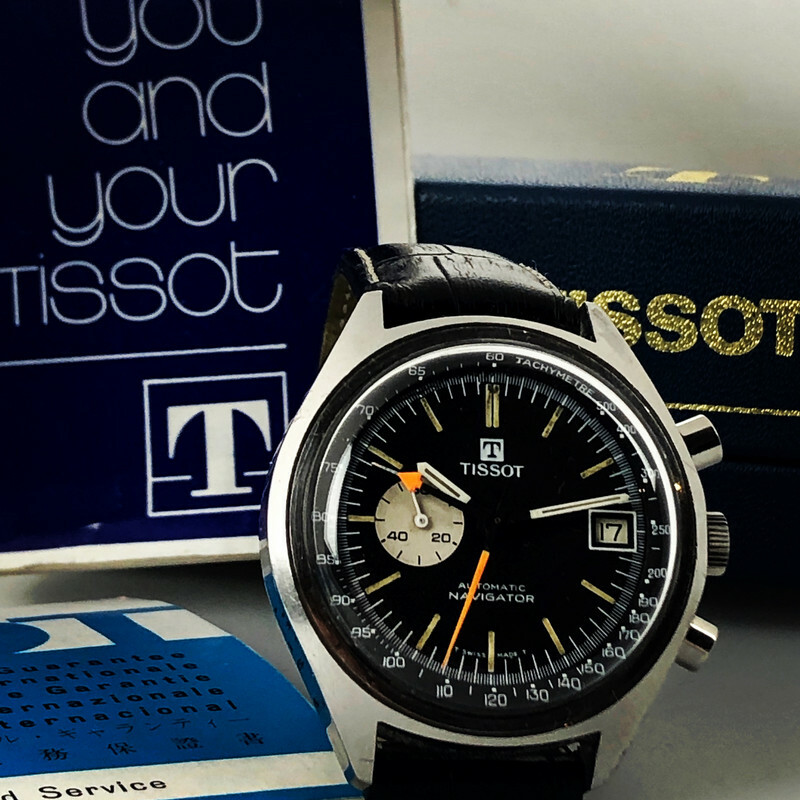 Beautiful Tissot Navigator from the 1970's. The steel case is unpolished and in good shape. Beautiful flawless aged black dial. Inside is the Lemania 1343 in very good condition. The watch comes with it's original box and papers. It has been bought in England.